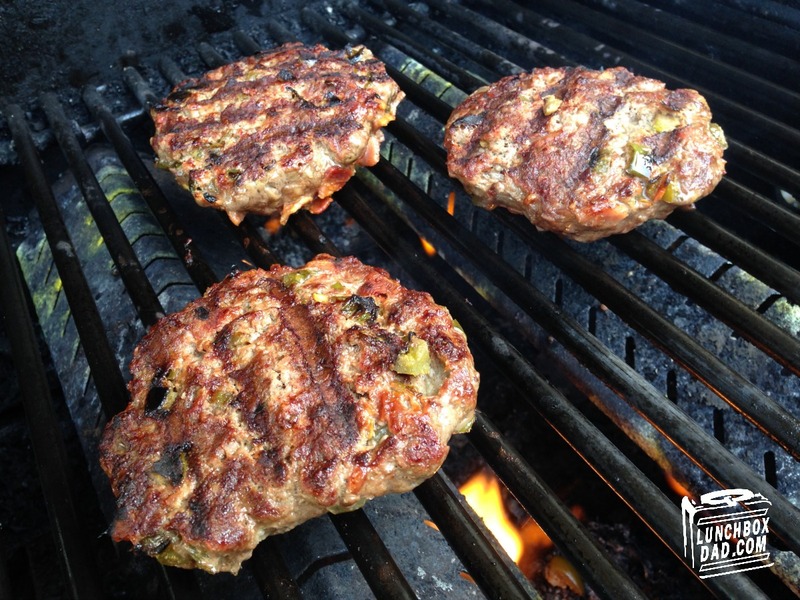 Nothing says warm weather fun like grilling burgers with family and friends. Cheeseburgers have to be one of my family's favorite summer foods. The only thing better than the feeling of biting down on a warm, juicy burger smothered in cheese is biting down on one with a spicy kick. 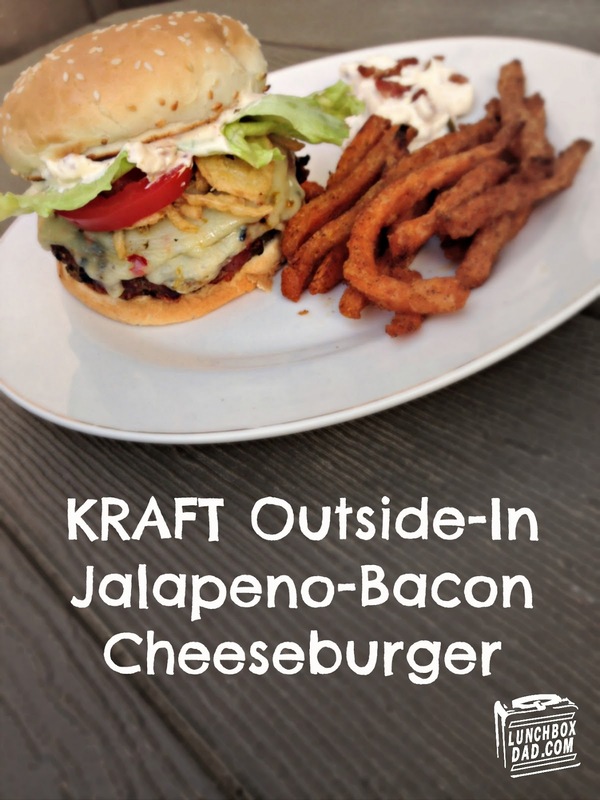 My Outside-In Jalapeno-Bacon Cheeseburger made with KRAFT cheese is one spicy burger recipe you will want to keep handy at all times. 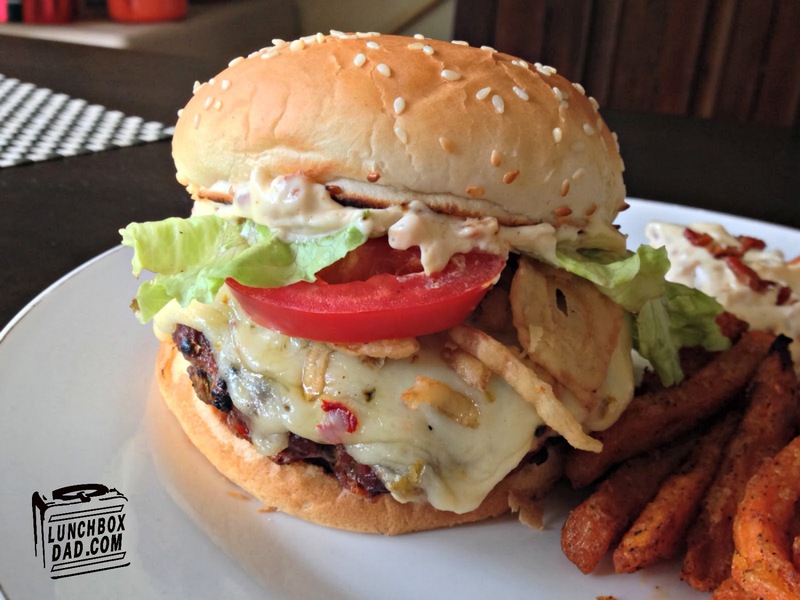 My family went crazy over this burger and your family will too. The secret to the Outside-In Cheeseburger is the jalapenos and bacon mixed into the hamburger meat and the KRAFT Jalapeno Cheddar Cheese slices. 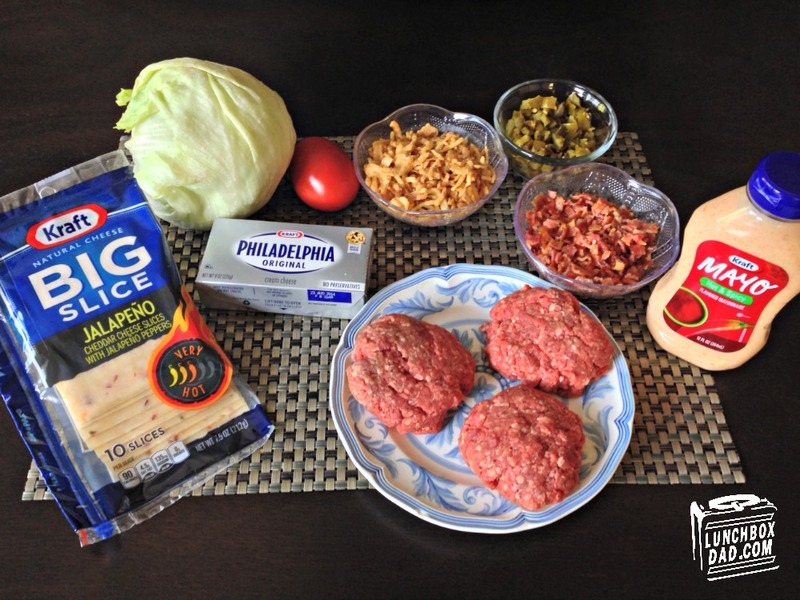 When you grill the burger, the spicy and savory flavors complement each other so well and when you add the KRAFT cheese and spicy bacon sauce, it might just be the perfect burger. You take the "outside" ingredients and move them "in" so you can enjoy all the flavors and juices inside the burger patty! The really convenient part is that you can find all the ingredients you need at Walmart, like I did. So buckle up, this spicy burger is going to take your family for a ride! 1. Mix 1/2 can of jalapenos and 1/4 lb. bacon pieces into the hamburger meat. Add cayenne pepper and knead meat mixture well. Substitute turkey for hamburger meat if desired. Form meat into 4 patties. Serving size is 1/4 lb. each. Cook on grill or stovetop until done, about 4 minutes on each side. 2. Place burger patty on bun and top with KRAFT Big Slice Jalapeno White Cheddar Cheese slices. Sprinkle crispy onion strings on the cheese. Layer tomato slices and lettuce on top of burger. 3. Spread spicy bacon sauce (directions below) on other bun and finish burger by placing on top. 4. Serve with a side of your favorite sweet potato fries. 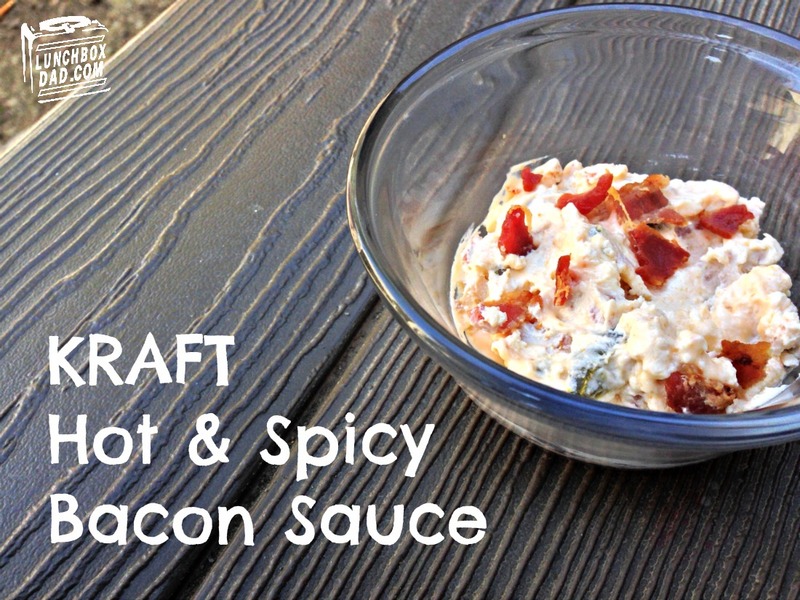 The spicy bacon sauce also makes a terrific dipping sauce for the french fries! 1. Mix PHILADELPHIA cream cheese with KRAFT Mayo Hot & Spicy Mayonnaise. Make sure it is blended well. It helps to soften the cream cheese beforehand. 2. Stir in 1/2 can jalapenos and 1/4 pound bacon pieces. 3. Serve on Outside-In Jalapeno-Bacon Cheeseburger and as a dipping sauce for french fries. This burger looks great! Love how you put jalapenos and bacon IN the burger!!! Epic! Thanks man, your recipes are amazing as well! Thanks Kristy, you and your husband should definitely try these!